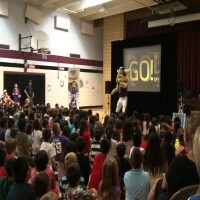 Cass Lake Bena Elementary School showed their Viking spirit during their special assembly hosted by Minnesota Vikings’ mascot Viktor. The school received the special assembly for becoming NFL Play 60 Touchdown School. Only the top schools that compete in the NFL’s Fuel up to Play 60 receive the honor. During the assembly Viktor reminded the students how important it is to eat healthy and be active for 60 minutes every day. Today’s assembly started in the cafeteria at the beginning of the school year with the Lunch Bunch Group. A group that emphasized eating healthy and exercising 60 minutes a day. 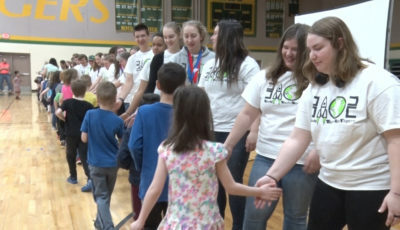 The school drafted a 30 student team to kickoff the event at the beginning of the school year. 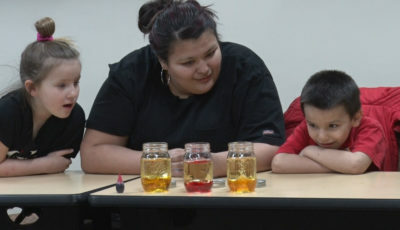 The team’s goal was to light up the school board by having the students become the quarterbacks for healthier habits. 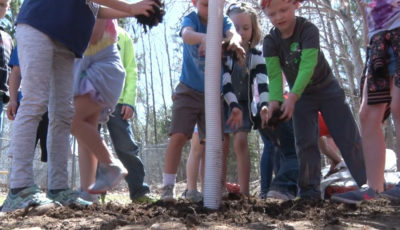 The school says the program has helped the students be healthier and better leaders.